Google Adsense is the most popular way of earning money from your website. With Adsense, we can easily monetize the traffic on our website and get payment easily. Google pays monthly via cheque or EFT. But EFT is not available in many countries due to legal reasons. Check if EFT is available in your country. India is also not in the list where EFT payment is not available. So, Google pays via cheque in those countries where EFT is not available. Currently, Google sends Adsense cheques through Bluedart courier service. Bluedart delivers cheque directly in big cities and for small cities, they send cheque through post. This syetm works fine and 99.9 percent users receive cheque in time. But there may be few circumstances when Bluedart person came to your home and no one is there to receive. Recently, I faced the similar issue. No one was at home and my phone was switched off. Bluedart person came and returned without delivering the cheque. When I tracked the delivery, I found that they returned the cheque to Google India. If you are also one of those who faced similar issue and your cheque has been returned to Google, you do not need to worry. Google has implemented a simplay way to ask for the reissue of returned cheque. You have to provide exact details including your name, publisher id and exact amount to be paid. It also asks for the reason why you are requesting reissue. 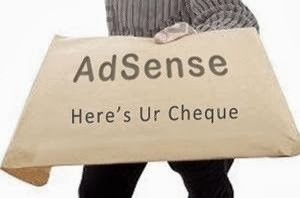 In case you cheque was returned due to wrong address, do not forget to correct the address in your Adsense account.